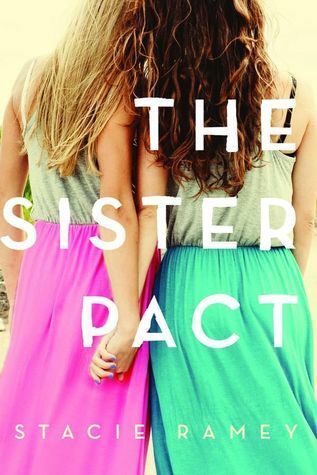 Super excited about today's post, I get the privilege of spotlighting this fantastic book The Sister Pact. This book will be released tomorrow and my review will go live as well tomorrow. 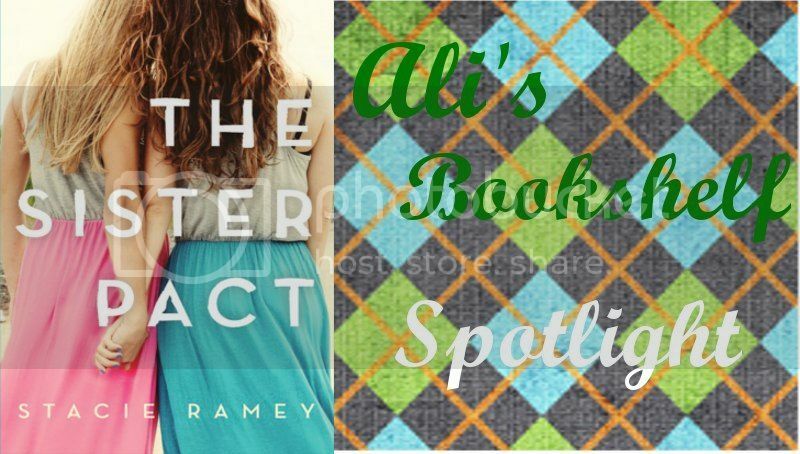 So before that happens, here is a bit about The Sister Pact by Stacie Ramey. Liquid inspiration from the Nyquil bottle makes me feel like I should paint something for Leah. Let her know I get it now. Maybe I didn’t always when she was alive. Maybe I didn’t listen when she tried to tell me things. I open the door and look out into the hallway. Lights off, TV on downstairs. Mom’s check-out gives me the clear shot I need. In the garage I find the white paint from the trim in my room and the tools and brushes. Everything seems really clear right now. And brilliant. I feel sort of brilliant. Like every part of my brain is working. Back in my room I shake the can of paint and open it with a screwdriver and hammer, trying hard not to spill it on my hardwood floors. Too late. My curtains are in the way, so I rip them off the rod. I have to stand on my window bench to reach as high as I need. I start to paint, not knowing what I’m doing until the image forms on the wall, like magic. By the time I’ve painted the point of convergence on my window where the pink diamond goes, I recognize it. I painted it like it was burned into my brain. 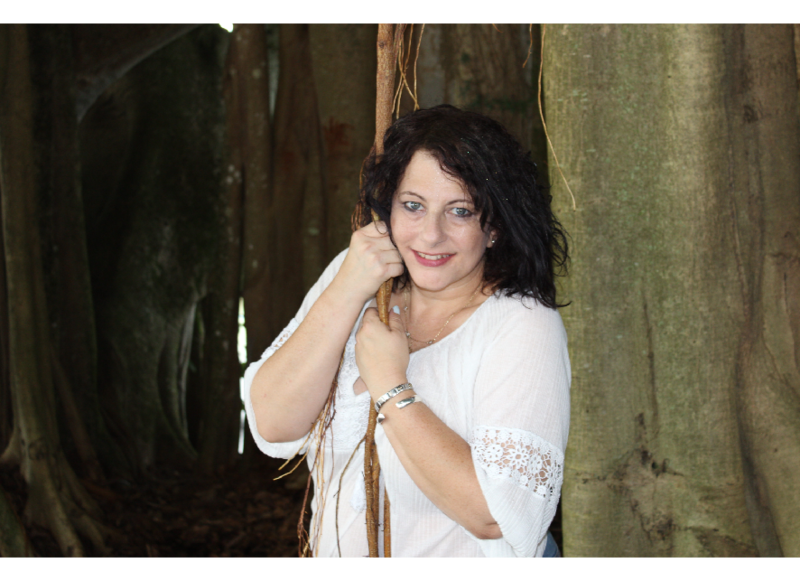 But I guess I knew all the time even as it materialized. I’ve made Leah’s ring. I sit back and admire my work. I hope wherever she is, she sees this and knows I’m sorry. A shooting pain goes through my head and my eyes try to adjust to the blinding light the sun throws as it sets. Spiky rays of light come from the sunburst that flashes through my painting, making it seem like it’s alive. I blink away the brightness and try to let my eyes settle. When I open them again I’m confused. Because I see Leah standing there. Really standing there. I steady my gaze and look again. I’m not imagining it. She’s there, surrounded by light, kind of outlined in it. Like one of my rendering sketches. I want to reach for her, ask her if she’s really here, but when I blink again, her image disappears and I know it’s just my guilt and my need that’s bringing her to me. Even if she can’t stay. I close up the paint cans and take them and the medicine bottle downstairs. The paint and tools go back into the garage and the brush gets washed in the sink and left to dry on a bottom shelf of the garage. I turn the water on in the sink and run my hand over its stainless steel surface, careful to wash all the remnants of my painting party down the drain. Finally I wrap the medicine bottle in newspaper and push it to the bottom of the trashcan, making certain that it’s completely covered. One thing Leah taught me was how to hide your party. When I’m done, I walk back up to my bathroom, and brush my teeth, trying not to look in the mirror too long. As if my crazy would show somehow. I crawl into bed, setting my alarm for the morning. First day of school. I put my hands together in the prayer position and put them under my cheek. I think about what I just did and try not to worry about what it means. It’s too much allows the headache to creep back in, crouching and ready to spring. I’ll close my eyes and go to sleep, and hope that tomorrow will be okay. I know it’s not what I should be doing. I know I’m copping out, but I can’t help it. I’m living my life in tiny squares. Checker board moves. I go forward. I go backward. I jump. Each play means something. Each turn matters. The most important thing is to keep moving. To not get jumped. Sometimes a little Nyquil helps that. They don’t call it medicine for nothing. This giveaway is for US and Canada only!